Malaysian online job portal WOBB have launched an artificial intelligence system called Aivi to help employers screen through applicants during the early stage of the hiring process, saving them time and sparing them stress and tedium. The system mimics real-life interviews and will pose relevant questions to job applicants through WOBB’s messaging system. Employers can use the responses to gauge which applicants will be called in for a face-to-face interview. The service can be accessed through the purchase of Virtual Interviewer tokens from WOBB. Each token will be able to activate up to 50 Virtual Interviews. It seems that with every passing day, technology finds a way to assimilate itself with yet another daily task to make it simpler and more efficient; this time, it’s job interviews. 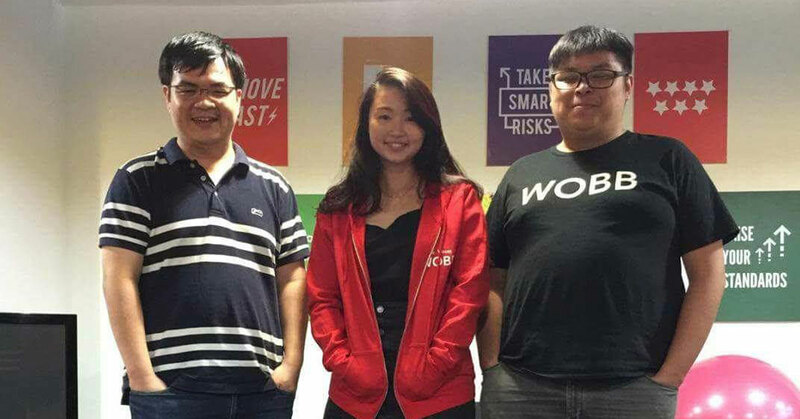 Two days ago, Malaysian job portal WOBB announced the launch of their proprietary artificial intelligence (AI) driven virtual interview platform. Called Aivi (Artificially Intelligent Virtual Interviewer), the platform was developed with the aim of solving many of the problems that employers currently face during the early screening of job applicants such as individuals who had irrelevant skill sets and job interview no-shows. Currently, the most effective way of reducing such issues is through the screening of individual applications during the early stage of the hiring process and weeding out undesirable candidates. However, this process is tedious, stressful, and time-consuming. Developed over a course of 10 weeks, Aivi has been brought in to speed up applicant screenings and make the hiring process much easier for employers. By mimicking real-life interview scenarios, Aivi can screen through job applicants through WOBB’s messaging system, asking them questions relevant to the position applied for. Following this, employers can then review these responses to assess the suitability and interest level of the applicant. Currently, WOBB is developing Aivi to become even more intelligent and to better analyse applicant responses to help employers pick out which individuals they should invite for face-to-face interviews. Explaining further, Derek said that Aivi could help employers discover other vital information pertaining to the job candidate such as the reason they left their previous job, and their level of interest and knowledge of the company. Hey Aivi, How Much Does That Candidate Want The Job? The Aivi platform is currently functional and is available through the purchase of credits (similar to how WOBB sells their job and booster tokens). Employers looking to use the Aivi platform will need to buy Virtual Interviewer tokens and apply them to their job listings on WOBB. Each Virtual Interviewer token will activate up to 50 virtual interviews. According to WOBB’s Head of Marketing and Product Shakira Kavanagh, the Aivi platform has so far performed well in rounds of internal testing. “We’ve tested this internally from our own WOBB employer account to make sure the Virtual Interviewer works and make tweaks where necessary,” she said. Shakira also mentioned that while the Aivi platform could have real-world use cases in other industries, the focus currently remains on strengthening WOBB’s services. “We’ve spent a lot of time working on this new feature. Now that it is live, our product team will be working hard to raise the standards of WOBB’s platforms as a whole,” she said. To know more about the Aivi platform, you can head on over to WOBB’s website.